This is the fourth installment in the multi-part series What home theater is right for me?. So far we have covered the basics of what constitutes a home theater and then took a look at specific theater options for the movie buff and the gamer. In this installment we will cover the most casual home theater experience: the TV viewer. Isn’t everyone a TV viewer? Yes. But for this example we will constrain this definition to those who enjoy watching mostly broadcast television (including cable/satellite), and only occasionally watching a Blu-ray Disc and rarely plays video games. The TV viewer may mostly watch sports, Ellen, or late night dramas, so this is a broad category, but even still, a few tips are in order. While this type of viewer may just assume plugging in a TV and having their Dish Network technician show them how to use their remote, careful consideration and planning can greatly enhance your viewing pleasure. For many people TV has become a background noise. They might turn on the set jut to have something on while cooking dinner, or while watching the kids. Others may only sit down to watch a few programs throughout the week. These tips will try to cover as broadly as possibly how to get the most out of your TV. In the previous installments we talked about which room to locate the gear, but for the casual TV viewer they will probably have a TV in their main living room and another in their bedroom or even garage or patio. (In all reality, these tips can also be used for the movie buff and gamer alike for these secondary locations.) Some of the same tips are still helpful. The best way to improve TV viewing time is to improve the sound quality. TV speakers are so small, inefficient and low quality that the sound emitting from them is harsh and overbearing. The most economical way to fix this is by filling the room with diffuse and absorptive materials – rugs, bookshelves and seating. We have also covered lighting in previous installments of this series. (Click back for detailed tips.) Controlling the light for reflections is still a consideration; use drapes and indirect lighting to provide the best picture detail. If you can see a reflection of yourself on the TV, or you see a lighting fixture or window reflected, you will want to move the TV to a different location or angle it differently. What equipment should the TV viewer buy? 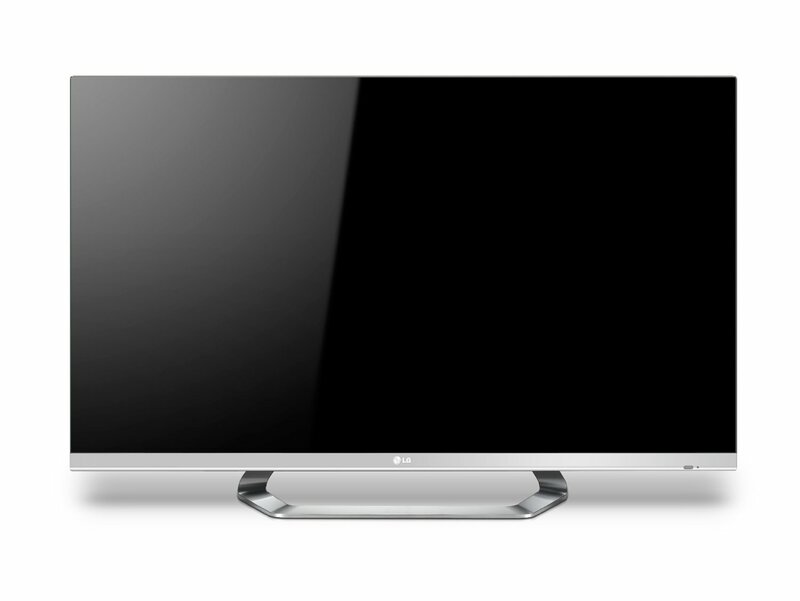 TV viewing may be during the day or night, so a bright LCD flat panel display is usually the best option. TV size is subjective at this point – Dancing With The Stars viewers might find a modest 46-inch size to be too much while sports fanatics would probably opt for the biggest set they can afford. We think a 40-inch size is the smallest set a living room could bear, and a 46-inch is a good place to start. In a bedroom a 40-inch is probably all you’ll likely need unless you do spend a lot of viewing time there. 3D programming is here and now in broadcast television (mainly in sports), but at this point it seems like something you will likely live without. Of course if you’re spending enough cash the set will be 3D enabled whether you use it or not. With these parameters, we recommend selecting any TV at any price range from one of the main TV manufacturers to ensure you receive a warranty. These are Sony, Toshiba, Samsung, and LG. Vizio is a fine option if the warranty is not your concern. We also recommend looking at past year models. We found a great deal on a 46-inch LG on Amazon with internet streaming and 3D with an incredibly attractive bezel for $799, which should beat any current year model in performance at the same price point while also looking so much better. As mentioned in the above section, improving the audio quality of your TV programs is the greatest enhancement to viewing. It will allow you to hear dialog and music clearly without necessitating high volume levels. To accomplish this we will provide a range of options for speaker upgrades. Your TV will have analog or digital audio outputs which can plug directly into a simple speaker cabinet like the Zvox Zbase220 ($199.99). This is the easiest solution as the whole set up is contained in one box with only two wires – power and audio. This is also the cheapest option. A step up from there is a pair of powered speakers, like these Audioengine 5+ speakers ($399), which provide incredible sound for the money. 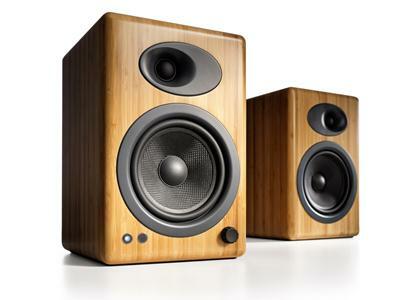 These speakers can also be used to play music in your home while you’re not watching TV, which makes them versatile. They’re also very attractive. One of the most appealing speaker options is the Sonos Playbar ($699). This slim speakerbar will provide expansive audio for the TV while also connecting your own music collection and internet radio with the ability to add streaming audio to multiple rooms in your house. An iOS or Android app brings all of the features together in one place for elegant control of Spotify, Pandora, iTunes and more. A more conventional option is a stereo receiver with a pair of unpowered speakers. One of the most compelling systems we have pieced together for this set up is a Marantz M-CR603 networked stereo receiver ($699) with CD player, AirPlay, DLNA, Pandora, Rhapsody and Napster paired with Pioneer SP-BS21-LR speakers ($129 or less). The Marantz offers integrated audio sources and a clean amplifier to power what are the most under-priced, over-performing speakers on the market, which will not only provide your TV with excellent audio fidelity but will also get your parties started, all for under $830. Adding a subwoofer to this set up only heightens this factor. Now consider the sources. Every cable and satellite operator is offering a multi-room DVR. In our estimating the DirecTV Genie (or Google Fiber if you can get it) is the most fully featured, offering five tuners and RF remote options. We will say it for a third time: upgrade your speakers. Everything from sports to PBS documentaries will be greatly improved. It has baffled our minds why people spend thousands of dollars to get the speaker upgrade in their new car and not spend a few hundred dollars upgrading their home sound system, which not only makes leisure time more enjoyable it can bring a party to life. We may even advocate spending more money on your speakers than your TV as you’re likely to use them more often.